It turns out, I already had a Chrome extension installed called "StayFocusd." StayFocusd has a couple of different features: you can set a daily time limit for your "block list," or you can "go nuclear." Going "nuclear" means setting a certain period of time to be blocked from sites on your "block list." It's completely irreversible. I chose to block myself from Facebook only (it's the only one on my list) for 72 hours. While 72 hours is pretty extreme, you could use the nuclear function for just a couple of hours when you really need to write a paper or study, or have just been on social media for too long. I actually didn't miss Facebook at all and decided to use the nuclear option for an entire week this time around, although I have Mozilla Firefox on hand in case I need to send an important message or take care of blogging business. 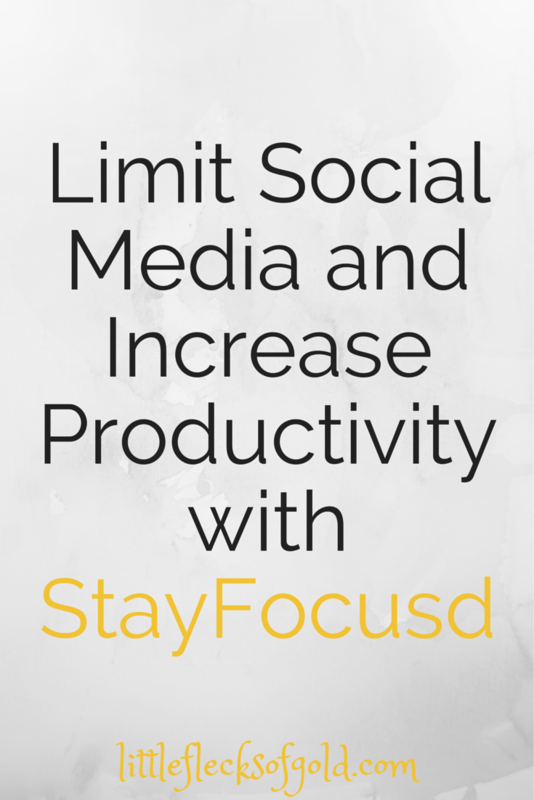 How do you limit your time on social media?